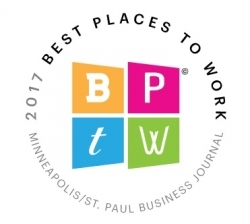 Minneapolis, MN, July 08, 2017 --(PR.com)-- AIM Consulting, a rapidly growing leader in technology consulting and solutions delivery, has been named one of the 2017 Best Places to Work by the Minneapolis / St. Paul Business Journal (MSPBJ). Earlier this year, AIM Consulting was honored with Gold in the 100 Best Companies to Work For by Minnesota Business. This is first time that AIM Consulting has been honored by MSPBJ. AIM Consulting, an Addison Group company, is headquartered in Bellevue, Washington and employs over 800 consultants annually across the United States. AIM Consulting was also honored as a Best Place to Work by Seattle Business Magazine earlier this year.